Why are we Brits so poor at talking about dying? Shockingly, it found that only 16% of us told relatives or next-of-kin where we would like to die, only 18% of us have talked about the type of care and support we want at the end of our lives, and very few of us have discussed whether we have made a will (let alone a living will) or the type of funeral we want. So, putting birth aside, why are we Brits so reticent to talk about the one life experience that we are guaranteed to share? In early times, the overpowering influence in the way people died was the Church. It’s important to understand that the Church was in supreme control, and that prayer and ritual was at the centre of life. Everyone was expected to tithe 10% of their income to the Church, as well as paying for birth, marriage and burial to ensure the salvation of their soul. A ‘good death’ occurred when people died in their own bed, conscious of what was happening. The Church actively encouraged the dying to recognise the signs of impending death through omens, visions and auguries. Therefore the dying themselves presided over their own death, and knew the protocols that could ensure their soul’s salvation. Death in those days was very much a public event, which raised social and moral status for the dying person, who dispensed last minute advice, bequeathed money and property to relatives, friends, charities and the Church, and confessed their sins to the priest. These rites and rituals assured an orderly exit to the next world, releasing the dying person’s soul into purgatory, where it could be cleansed of sin, and finally enter the kingdom of heaven. During medieval times, diseases such as the Black Death killed over one third of Europe’s population. People were dying in such numbers that it was impossible for priests (who were also dying themselves) to deliver the last rites to those in need. Fearful of losing control of its flock, the Church created the Ars Moriendi (The Art of Dying Well – a best seller for 200 years) to make sure the dying continued to practice deathbed rites, even without a priest being present. Family members were also expected to buy papal indulgences so that the soul of their dead relative continued to receive the remission of sins, and most importantly, foreshorten their time in purgatory. The selling of these papal indulgences became a very big and corrupt business. 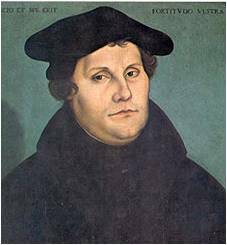 This continued until 1517, when the monk Martin Luther, outraged by the behaviour of the Church, famously rebelled by nailing his 95 theses onto the cathedral door in Wittenburg. He claimed that the Bible was the only infallible authority on how someone entered Heaven. Not the Church. Back in England, King Henry V111 was in amorous pursuit of Anne Boleyn, and desperate to divorce his first wife, Catherine of Aragon. Encouraged by Anne Boleyn, Henry began to explore Luther’s ideas. In short, this led to the Reformation and the dissolution of the monasteries. 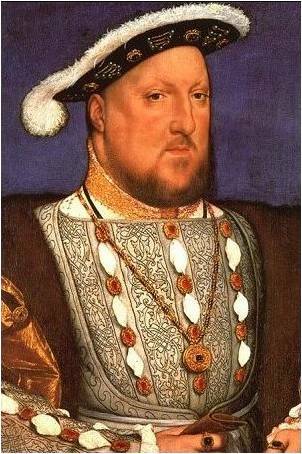 Henry eventually got his divorce, married Anne, and named himself as supreme head of the newly formed Protestant Church. This meant that Henry’s subjects were forced to change their relationship to death and dying, and the elaborate Catholic deathbed rites ceased. After a few ups and downs, England finally adopted the Protestant faith during the rein of Henry’s daughter, Elizabeth 1. Catholics were regarded as heretics, and purgatory was banished. Those who persisted in practicing Catholic rites were put to death in very unpleasant ways. 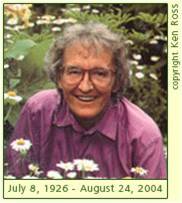 Instead, the fate of the protestant soul was sealed at the moment of death. We now enter the time of the Birth of Enlightenment, or the Age of Reason, which saw an enormous leap in scientific study. Exciting new medical discoveries took precedence over religious matters. Doctors began to replace priests at the bedside, which meant the care of the body became more important than caring for the soul. During Queen Victoria’s rein, death was consigned to elaborate funerals and mourning rites, to emulate Victoria’s own public bereavement after her beloved Albert died. However, mourning dress was all but abandoned during World War 1. It was quickly realised that an entire population clothed in black did little for public morale, or encouraged young men to sign up for military service. Things changed again when Alexander Fleming won the Nobel Prize in 1945 for his discovery of penicillin. This miraculous drug, and the use of narcotics to relieve pain, encouraged people to believe that medicine had become the ‘God of Death.’ Pastoral care for the dying was relegated to the last place, and death moved out of the home, into hospitals, nursing homes, and, eventually, hospices. The Dying Matters survey suggests that, even though the UK is reputed to provide the best hospice care in the world, remarkably little appears to have changed when it comes to the way we talk – or don’t talk – about dying. I am not suggesting for a moment that we should return to Mediaval days, or reinstate papal indulgences. However, when we don’t talk about death and dying, or we deny it, or we are too embarrassed or awkward to broach it, or we refuse to listen to people who want to talk about it, those nearing the end of life can be left feeling isolated, lonely and frightened. This is certainly not how I, and I imagine most of you reading this blog, want to end your life. It really is time to change our attitude towards death and dying. For more information on how to talk about death and dying, please click Listening and Talking about Dying. This entry was posted in All posts, End-of-life issues and tagged death and dying, end of life, good death, hospice, papal indulgences, talking about dying. Bookmark the permalink.